No parking karma needed today because we are in a mall parking lot. The interior is modern with bright lights and hip lettering and sayings on the wall. A large lit signboard menu is above the cash register where your order is placed. This is our first visit and it does take a little figuring out of what to order. Here is the rub. You have so many choices and combinations of burgers that it can be a little overwhelming. There is a two and three burger option. You need to choose your beef patty which is a whopping 3 ounces; beef, merguez beef, dry-aged beef, Spanish beef, Wagyu beef, turkey, lamb, chicken breast and falafel. You then choose a style of toppings. The ‘Classic’ is American cheese, lettuce tomato, pickles, onions and house sauce. The ‘California’ is; Swiss cheese, mixed greens, tomato, avocado and chipotle mayonnaise. There are several other styles. So you see the combinations can be endless. I do have to disclose some of these toppings and burger have added costs that will be added to your total bill. 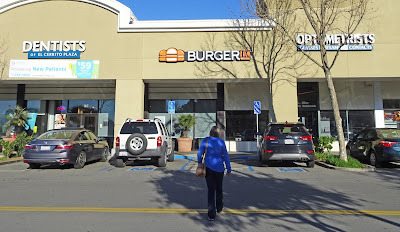 Burgerim has a lot of other sides which are fairly standard fair for a burger joint. Ms. Goofy ordered fries and I a salad. I know you may ask; salad? Maybe it is a New Year’s resolution? (NOT). I ordered a trio of beef, Wagyu beef and Dry Aged beef with three different styles of toppings. Our order was delivered promptly. These little burgers were so ‘Cute”. When I use a descriptor as cute a red flag should be raised. These were tiny 3 ounce burgers. This translates to maybe four bites if I am lucky. It was a little confusing of what I had ordered because I had so many flavor combinations. I referred to my cash register receipt for reference. First of all I would like to say all of my burgers tasted fine. The beef patties were cooked to a medium well but were on the dry side. I really wanted to experience the different flavors of the different beefs. If there were any differences they were all washed out with all the flavor combinations of the toppings. This was disappointing. Ms. Goofy had the two burger combination of Wagyu and Dry Aged beef. She said there was not a whole lot of flavor difference but there was a textural difference between the two beefs. Her fries came with a garlic aioli which she said was very rich. 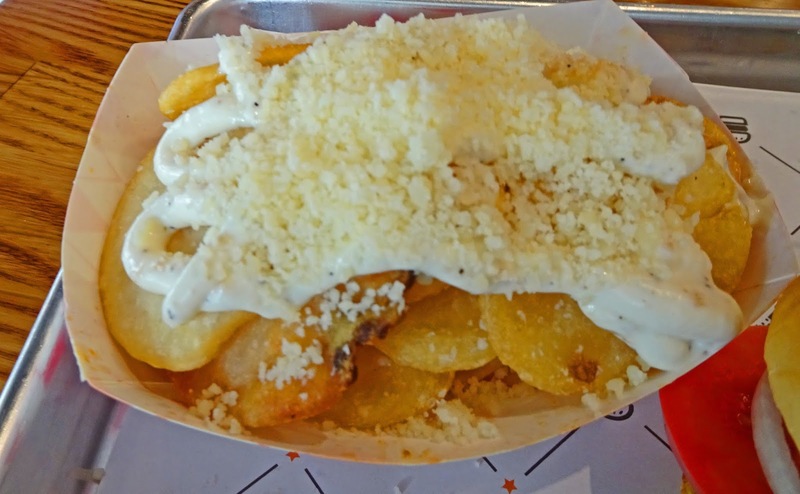 The fries were also cut into a non-traditional round shape. She liked them. Overall Burgerim is a modern burger joint with so many menu options that one needs to be prepared. I would like to go back to my reference cash receipt and tell you the total was forty three dollars. WoW. The burgers and sides were decent enough. 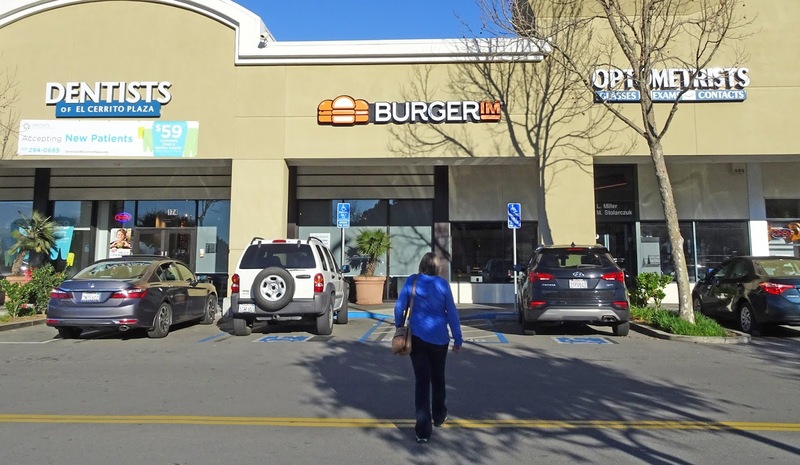 Burgerim is a restaurant with a gimmick of options. My option is to not return. Burger IM vs Val’s and the winner is?? Scott Simpson. They are not even in the same league. Val's hands down. Burgerim is modern overpriced and gimmick driven. Vals is old school elegance. It does not get any better than Vals. Since you mentioned Vals I now have a craving to go. Let's go and it is my treat. Val's vs random Burgermatronic?!?! Scott you're killing me! I'll tag along; when do we go? Aaron, I am not sorry to see judgebbq go and I think we should all toast to good riddance with a milkshake at Val's.